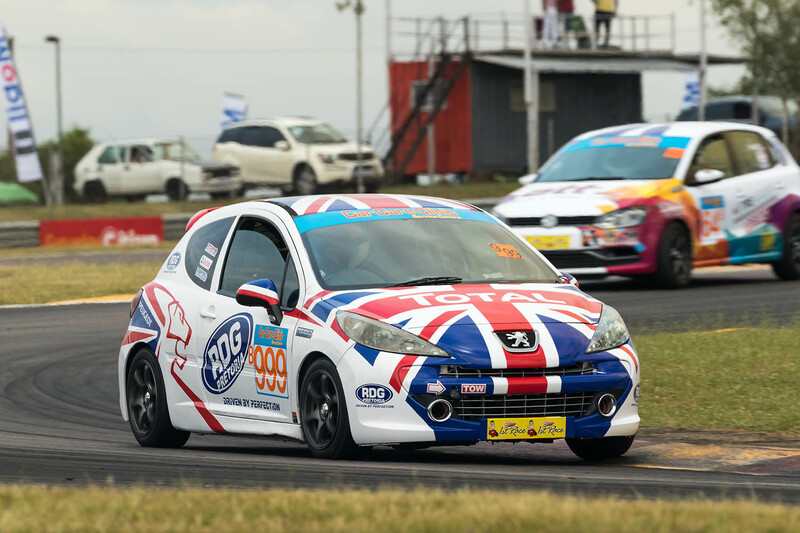 Over 30 Car Care Clinic SuperHatch drivers will make their way to Midvaal Raceway in Meyerton on Saturday, 13 April for the second round of their 2019 championship. After the opening round, Nic Martin (Rex Diff & Gearbox Peugeot 207) leads the way in the overall championship standings, just two points ahead of Jonathan du Toit (Trans Africa Racing Honda Civic) with Brett Garland (autObarn/Incco/Sabat Honda Civic) and Robert Stoltz (Jestik/Episerve/EBC Opel Kadett) tied for third another two points back. The battle between the Class A drivers at the front of the field is likely to be between du Toit and Garland although Tyler Scott (Episerve/Jestik/Lopec Opel Kadett TS) has shown a fair turn of speed recently and could get amongst them. Andre de Lange has also shown he has the speed to run at the front in his Roofsure Audi A3, but reliability issues have reduced his points scoring opportunities. Once he overcomes that hurdle, he should be a force to be reckoned with. Defending champion Louis Scholtz (Car Care Clinic Honda Civic) made the set up to Class A for the first time at the opening event and finished just off the podium. Others who will be fighting for Class A honours include Karel Stols (Pretoria Noord Toyota Etios), Andre Dannhauser (Pro Auto Rubber/Jestik Opel Corsa), Shaun Smith (Pretoria Noord Toyota RunX) and Francois Henning (Select Registration/River End Trading VW Polo). Martin claimed two comfortable Class B victories at the opening round to lead the way in the championship, but things could have been very different if pole-sitter Wouter Roos’ bonnet hadn’t flown open in the first race, leaving his Nathan’s Motorsport VW Polo on the sidelines. Matt Cohen (VW Motorsport/BHIT/Dunlop VW Polo) and Mel Spurr (Itre Cugini/ATT/Metal Used Spares VW Polo) are joint second in the Class B championship standings and will be out to keep Roos and Zane van Zyl (Credit Guarantee Golf) behind them. 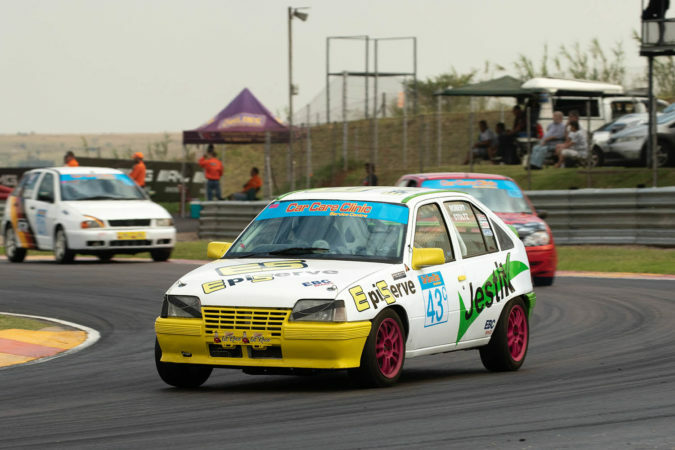 Bryce Pillay on the VW Motorsport Polo and Vernon Stoltz (Jestik/Episerve/EBC Opel Kadett) will also be looking for points at Midvaal. With a dozen or more cars likely to line up on the Class C grid, picking a winner is difficult. The top four in the championship standings are separated by just five points, Robert Stoltz leading the way from Freddy Watkins (VW Polo), Jacques van der Zee (Tugwell Tooling & Design Citroen C2) and Juan van der Walt (Building Code Consultants Ford Laser). 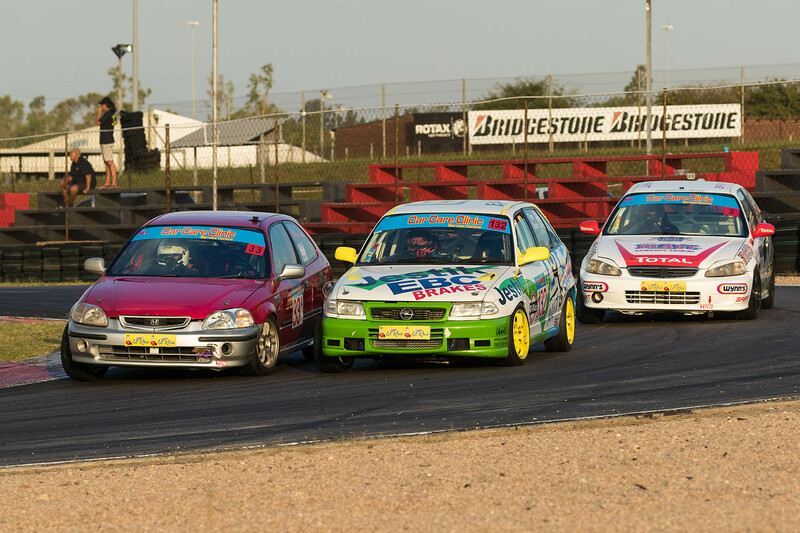 All four of them are capable of winning as are Almero van Eck (Taurus Polo), who is scheduled to make his first SuperHatch appearance of the season, and Marius Rossouw (CW Motorsport Opel Corsa). Nathi Msimanga (ASEDA Engineering VW Golf), Reaobaka Komane (Squadra Course VW Polo) and Carel Vos (Select Registration Toyota Conquest) will all be trying to add to their points tallies. Newcomer Trennon Bettany (Squadra Course VW Golf) should also be on the grid. Practice sessions are scheduled for Friday with qualifying and racing taking place on Saturday. A 15-minute qualifying is scheduled for 09h00 on Saturday morning with the first of the day’s races getting underway at 11h30. Race 2 should start at 14h00.